Sam with his Practical Driving Test Pass Certificate somewhere in Mark. Many congratulations to Sam Mason from Mark, Somerset, who passed his Practical Driving Test with just two minors on Friday 28th August 2015 at Weston-super-mare driving test centre. 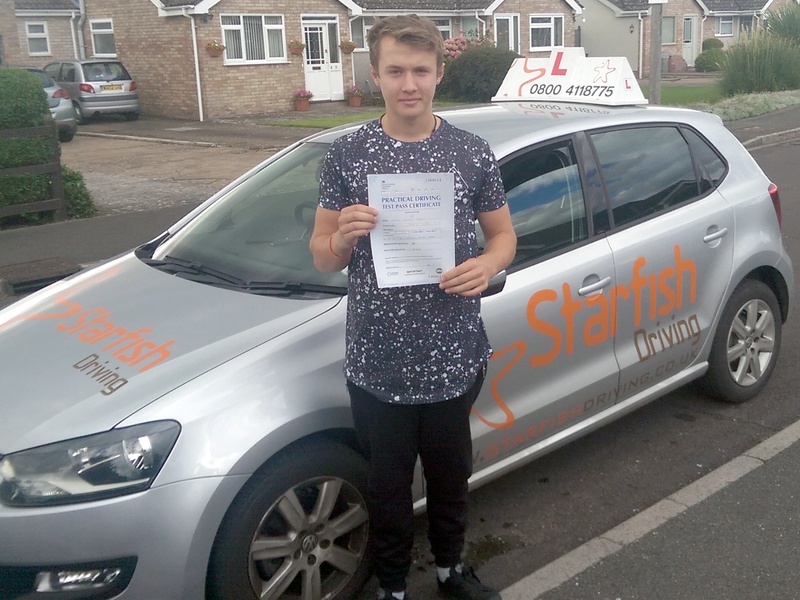 Well done from your Driving Instructor Andy Muir and all the team at Starfish Driving.